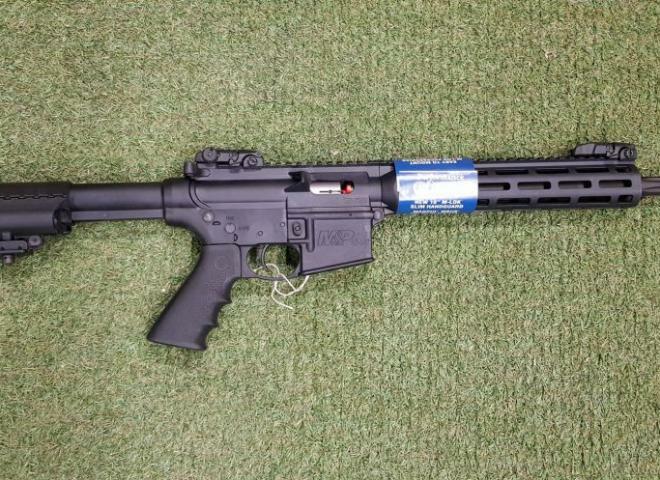 Black Rifle's own Competition Ready Smith & Wesson M&P15-22 is ready to shoot. We take a factory Smith and upgrade the core areas to make your rifle one of a kind and competition ready. This rifle is in stock and ready to go. New stock of Smith Wesson 15-22 rifles available in store. Call for details as all models here. Superb semi auto rifle with collapsible Magpul stock, tactical forend, Magpul sights, 25 round mag, lightweight & reliable. 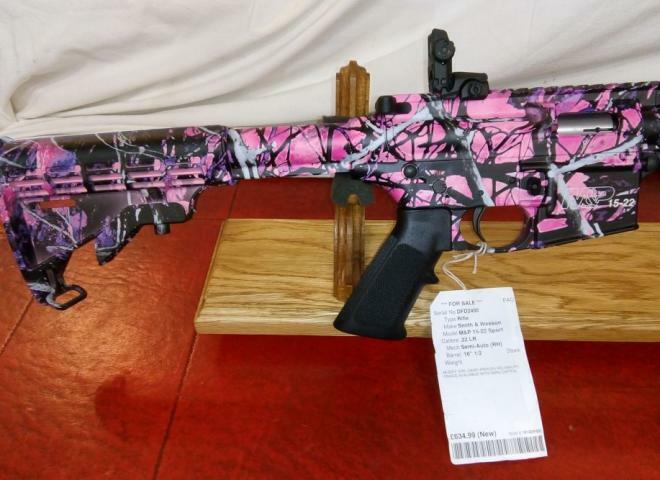 Smith and Wesson M&P 15 in muddly girl camo finish.
. 10” M&P® Slim Handguard with MAGPUL M-LOK. Smith and Wesson Magpul Edition in Black comes with bipod/forward grip mounting rail and rail covers. Smith & Wesson M&P 15-22 Semi Auto .22LR comes complete with a 25 round magazine. Adjustable stock, open sights with a picatinny rail for mounting a scope. Smith and Wesson Magpul Edition in FDE comes with bipod/forward grip mounting rail and rail covers. There are loads of upgrades and accessories available for these! We are now stocking Smith and Wesson MP15-22s MOE Black and Sport Black in stock others available to order.